William Edwards Deming was a man before his time, whose ideas of quality manufacturing systems flourished in Japan, but otherwise remained mostly unknown until his later years. One of Deming’s key philosophies was “The Seven Deadly Diseases of Management” which can also be applied to everyday life for personal success and fulfillment. 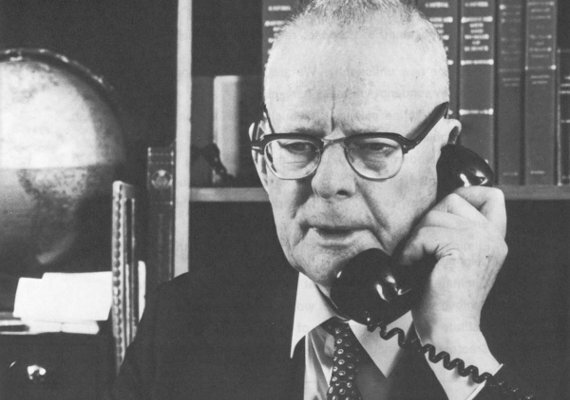 From a management perspective, Deming’s work emphasized the importance of quality versus cost. His ideas have been modified and updated over time, but the core principle remains the same – focus on manufacturing as a system and strive for continuous improvement. From a personal perspective, Deming’s philosophy can be utilized to gain “success” by representing life as a “system”. Life is an amalgamation of countless people, emotions, activities, choices, decisions, random events, and other unquantifiable factors. These overwhelming variables make sticking with goals or making life changes difficult. Thus, people often partition their life into different bubbles and pretend that what they do at work has no effect on things at home, their attitude towards strangers doesn’t alter what their friends think of them, or how they treat their body can’t change their personality. Deming would disagree. Every decision shifts the system. Life constantly throws uncontrollable situations at you. Don’t worry about that stuff! Focus on what you can control: your actions, decisions, and attitude. Decide where you want life to take you and align your actions, decisions, and attitude in a way that delivers your desired dreams. Continually improve your life system by learning new things, adjusting actions, and remaining consistent with previous decisions. Deming’s Seven Deadly Diseases are warnings designed for management, but take a look and see how simple twists can yield meaningful applications for your everyday life. No business, life, or other endeavor can enjoy lasting success without a clearly defined and consistent purpose. This is a big one. A person can have notebooks overflowing with dreams and goals, but without an underlying purpose or direction it is very unlikely any will take off. Alternatively, if someone’s life purpose changes with the day of the week or based on who they talk to, they will almost certainly find themselves stuck in a loop of unproductive behaviors. Find a purpose, define what success means for you, and stick with it. This one is a sort of balancing act. For an individual, profits can be interpreted as things that make you happy, or add value to your life. A complete emphasis on immediate profits is detrimental, but too much reliance on the future is just as dangerous. Completely relying on short-term personal rewards is a hard act to maintain and makes larger goals almost impossible. Most worthwhile things require thought, planning, and dedication. A short-term-only mindset automatically negates the possibility of investments and goals that take time to develop. The other side of the coin is that no one knows how much time they have left on this earth. So, why not live it up? Forget long-term plans, let’s enjoy today! The deferred gratification model is broken. Many people are led to believe that the way to get the most out of life is to go to college, get a degree, work 40+ hours a week until you’re 60, and then retire. Why wait until you’re body is on its way out to start really enjoying life? I think there’s a happy medium. Don’t get caught up with things decades away; circumstances change in an instant. Rather, plan your long-term goals and find ways to work towards them by doing what you love, and in turn maximizing short-term profits. Don’t evaluate life based on numbers or the opinions of others. Just because the dollars are showing up in your bank account and people constantly praise you, does not mean your life system is running efficiently. Everyone needs to decide, on a personal level, if they are truly satisfied with what they are doing. Not just the results, but the actions that lead to the results. Someone who fixes the world, but goes against their life principles in the process, is a failure. In business, this has to do with having a revolving door of managers. It is very hard to have a constancy of purpose and anything more than a short-term emphasis when leadership changes every couple of years. On a personal level, this is very similar to a lack of constancy of purpose. Let’s say a person’s management is made up of their mentors, beliefs, and ideals. If this is always in a state of flux, they are going to have a tough time improving their life system. You’re allowed to change what you believe (sometimes it’s the best thing you can do), but focus on building a platform from which you can operate efficiently. Materialism. The analogy fits quite well. Never run your life based on stuff, whether it’s things you have, or things you want to have. Your life is destined for mediocrity (at best) if your primary focus is on material possessions and money. The most satisfying and worthwhile parts of life can’t be measured in material worth. Companies don’t want to spend all their money paying the medical bills of unhealthy employees. The company’s productivity will drop, right along with their bank account. In the same way, an unhealthy body makes your entire life system sluggish. You are not your body. However, your body is the meat vehicle that transports you through this physical realm. Lack of exercise (mental and physical), poor diet, and other bad habits will make you sleepy, weak, and prevent you from reaching your potential. Take care of your body! This one’s a bit of a stretch, but I’m going to morph this into the fact that no one can have every aspect of their life under warranty, insured, or guaranteed. Running a life system effectively involves taking risks. If you refuse to take action unless everything is absolutely guaranteed, the gears of your life system will quickly become locked. Sometimes things go wrong, but when a risk pays off, the feeling is awesome. That wraps up Mr. Deming’s Seven Deadly Diseases. A book could be written on each of the seven points, but I hope this is at least thought-provoking. What do you want to accomplish? Are the inputs to your life system aligned with these goals?